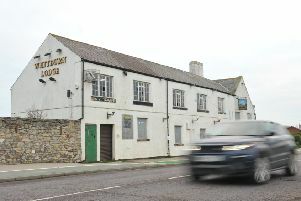 The former Whitburn Lodge pub has fallen into disrepair since calling 'last orders' for the final time six years ago. 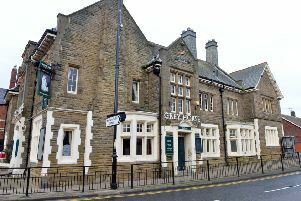 Campaigners want residents to have a greater say in the fate of a landmark pub which has fallen into disuse - and there are plenty of suggestions. The former Whitburn Lodge in Mill Lane, Whitburn, has been allowed to go to wrack and ruin since it closed six years ago. Whitburn Lodge was a landmark pub not too long ago. Now it has fallen into disrepair. Plans to turn it into a wedding and events venue fell through, and late last year its owner, Minel Leisure Limited, applied for permission to demolish it. Those plans were later withdrawn, though it said it would like the land to be developed for housing. Readers have lots of ideas to bring Whitburn Lodge back into use, from a motorbike shop and cafe to homeless hostel. Tracy Dawson: "Would be lush converted in to a hotel or bespoke wedding venue... oh if only I had the money. I think it has been left to rot so houses could be built there. Thought that all along ... "
Danielle Currer: "Not houses - something we definitely do not need. Half the ones over the road are still empty. And definitely not shops either." Byron de Simpson: "I think that's pretty much all it could be, a mini supermarket or housing." Suzanne Scott-Parnaby had a grander plan: "A holiday park." Cassandra Robson: "They should revamp it and make it a place to go again. It used to be a lovely little place to go, even for lunch, before they closed it. It would be better than flattening it and building houses like they normally do." Chris Wilson: "I read planning permission was refused by South Tyneside Council to make it into a place for wedding venues and suchlike. So what I'm taking from this is the council would rather have a derelict building than a building put to good use." Adeleine Stubbs: "They refused permission for a car showroom or garage, and for it to be transformed into a beauty salon, creating 15 jobs, due to objections. They would rather leave it empty to be vandalised." Trevor Parkin: "There will be houses on there very shortly. Shame really, 'cos if the greedy landlords didn't charge stupid rents it would of been a great destination bar." Angie Buxton: "It used to be a lovely restaurant, unfortunately due to greedy breweries the pub has been destroyed, and left to rot. Would make a beautiful seafood restaurant or fish & chips. Would JD Wetherspoon's not be interested?" Steven Mitchell: "Motorbike shop with cafe." Steven Logan: "YMCA or a hostel for homeless people from South Tyneside." Bill Edward Meeks: "A homeless shelter would be the greatest thing to happen to this big empty building." June Tate: "Executive houses? But I think a Wetherspoons would make money for definite!" The final word goes to Graeme Wharton, who said: "Make a canny pub!" The meeting to discuss the building's future is from 7pm to 9pm tomorrow, in the hall of Whitburn Methodist Church in North Guards.